The PersonalFit™ PLUS pump set for Symphony® delivers more streamlined, efficient processes on maternity and NICU wards, saving time and money. It also helps make it easier for healthcare professionals to provide mothers with the physical and emotional support they need, while ensuring infants receive all the benefits of an exclusive human milk diet. As well as the practical efficiency benefits, PersonalFit™ PLUS is clinically proven to offer mothers a more comfortable pumping experience.¹ And when they use it with the evidence-based Symphony® breast pump,² they can be reassured they are optimally building their supply. This can help them feel more positive about pumping: ultimately supporting improved patient satisfaction scores. 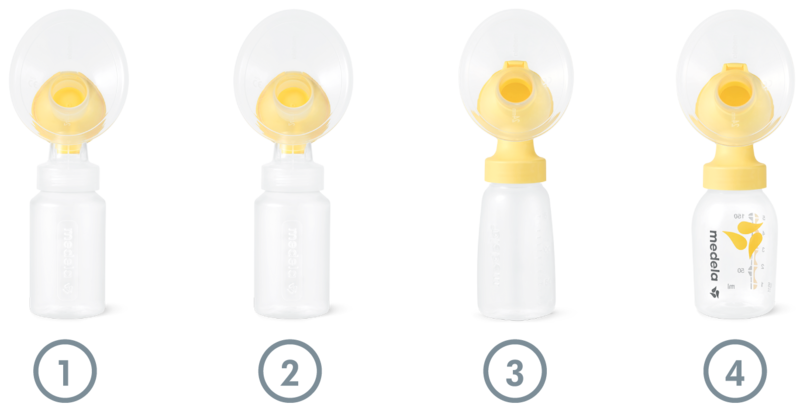 If a mother needs to express at home long-term, using a PersonalFit™ PLUS pump set drives increased levels of satisfaction with rental breast pumps too. There are four types of PersonalFit™ PLUS pump sets for Symphony®. that can be used straight from the packaging. that can also be used straight from the packaging. 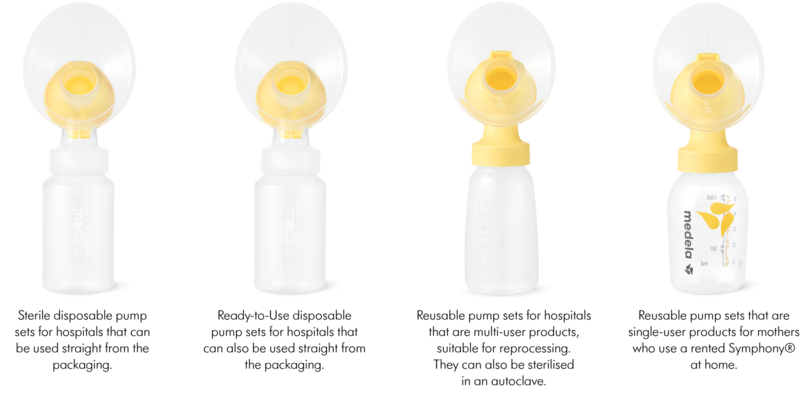 Reusable sets that are single-user products for mothers who pump with a rented Symphony® at home. The user then connects the pump set to the Symphony® and starts pumping. This initial process is the same for all types of PersonalFit™ PLUS pump sets, although the reusable versions must be sanitised before first use and are put together slightly differently: full details are given in the instructions for use. • Sterile single-use pump sets are disposed of immediately. • Ready-to-Use pump sets can be used up to eight times within 24 hours before being disposed of. They are simply disassembled, cleaned, dried and reassembled between sessions. • Reusable pump sets need sanitising once a day, and cleaning after each use as above. Reusable hospital pump sets also need reprocessing between each user. Procedures may differ depending on local regulations and hospital guidelines. Again, full details are in the instructions for use. This straightforward, intuitive system means carers can spend less time giving instructions on pump set use, and more time focusing on mother and infant wellbeing. Human milk’s remarkable antimicrobial, anti-inflammatory and immunomodulatory properties mean it plays a key role in supporting infants’ immune systems.¹⁴ ¹⁵ However, its management requires hygienic conditions to maintain quality and safety. 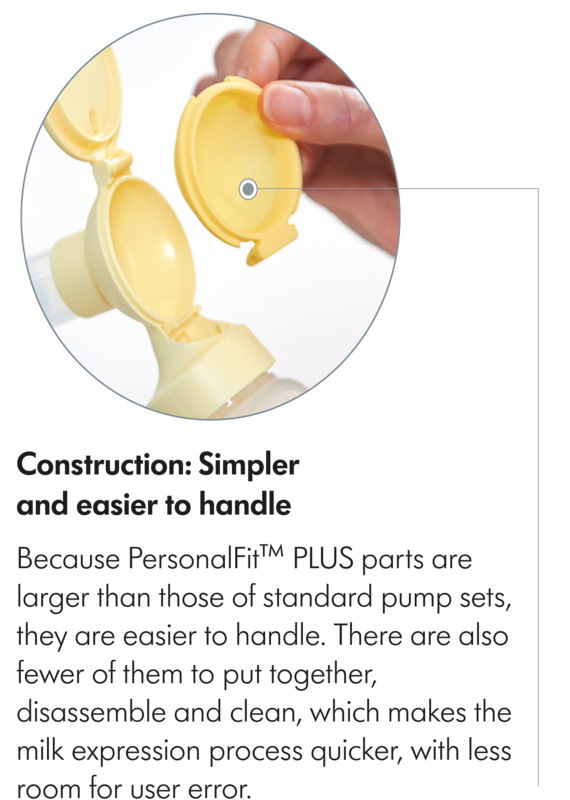 All PersonalFit™ PLUS pump sets have overflow protection (also referred to as a closed system) for increased levels of hygiene. 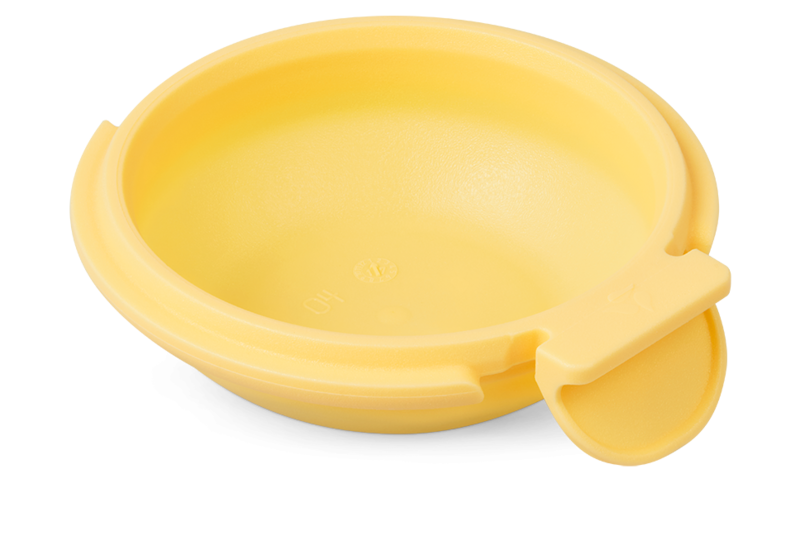 The membrane that provides the overflow protection fits simply into the pump set connector to help ensure milk cannot enter the tubing, even if the user is sitting back in a relaxed position. Medela has always shared information and ideas with healthcare professionals, gaining a deep understanding of the challenges they face. Its Breastfeeding and Lactation Symposium is a platform for sharing these experiences and exchanging knowledge – insights Medela uses to develop enhanced pumping solutions and human milk feeding technology.